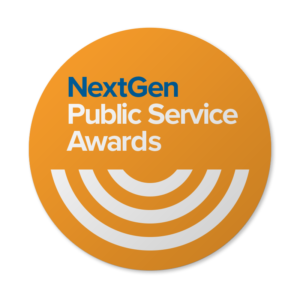 It’s time to roll out the red carpet, because the NextGen Public Service Award Finalists have just been named! During the October 2017 for health benefits enrollment, Bill spearheaded a new and exciting “superhero” campaign. Jack has an amazing response rate and rarely declines an invitation to help – and if he does, he’s got someone in mind that can fill in. Kim’s “can do” attitude, respectful engagement with all constituencies, and professionalism that always raises the bar, benefits her co-workers and City Hall – but even more so, all members of the city we serve. Burstein has been the guiding force behind the county’s efforts to fight the opioid epidemic in Western New York. Through her leadership, Erie County has become an exemplary role model for both local, county and state health departments throughout the country. Rob and his team took Express from ideation in early 2017 to fully functional by taking the acquisition requirements of multiple client agencies and awarding contracts, delivery orders, and task orders before EOFY/September 30th. Kirsten and her fellow team nominees delivered, in record time, the first secure, cloud-based application for OIG the HHS OIG Enterprise Dashboard. 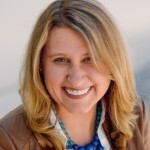 Becky Jo works tirelessly, avoids the limelight, is quick to share the successes with her peers and team, and is even quicker to evaluate issues and share her responsibility for the stumbles. She consistently looks for how she can improve her department and her city. Sarah exhibited her ability to improvise, adapt, and overcome challenges as they presented themselves throughout the Hurricane Harvey disaster response. Ron’s work on paid sick leave is one example of his intellect, strategic thinking, analysis, people skills, negotiating acumen, and ability to move all parties ahead for the benefit of working people in Minnesota is a case study on effective leadership. Angie Hester has a track record of success. She manages multiple projects simultaneously and delivers impressive results. Ms. Hester does not merely supervise her employees, she actively mentors them. Chief Howland consistently goes above and beyond his job description. He is a true leader, with a focus on empowering his team and recognizing the countless people behind each officer in the field. For Chief Howland, it is all about the team. It is an honor to work every day with a professional of Ms. Kermis’ caliber. She is not on only a very smart individual with an outstanding educational background and strong work experiences. Ms. Kermis is a 100% team player who is not selfish with her knowledge or her skills. The programs Joe leads have a personal impact on employees and participants across the Federal Aviation Administration (FAA). Joe not only manages and leads the staff responsible for the FAA corporate programs, but embodies the example of being a transformational leader. Dori has demonstrated a lifelong commitment to the safety of the Las Vegas community and our nation as a whole. In short, Dori has developed much of infrastructure and programing that makes up the Southern Nevada Counter Terrorism Center. Russel is unwavering in his dedication and commitment to the local jurisdictions, the regions, and the state of Texas. He continued to prove his courage and ability to manage situations under stressful and long operational periods throughout Hurricane Harvey. 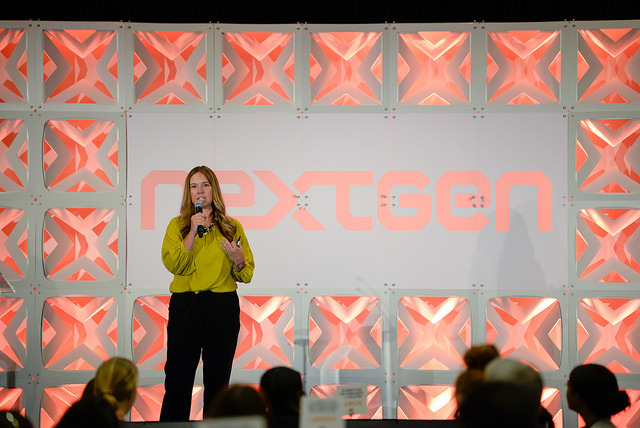 Maryellen is highly in tune with the younger generation and continues to be a leader and innovator in a landscape of ever-increasing technology, diversity and equality to optimize the efficiency and effectiveness of government. Over the last few years in response to impassioned pleas from her internal customers, Jamie has championed the use of a COTS enterprise collaboration hub, initially installed on premises while the team tested the software and considered the possibility of moving the hub to the cloud. In just his first year as director of ACTV, Alex has taken the public access station far beyond any role it has played in the past. He has launched a number of programs to get the community, and especially high school and college students, involved in ACTV operation and programming. Cindi is a customer service champion and is dedicated to ensuring that Austin 3-1-1 continually improves services that are important to the community. Rachael was able to improve a complex EIS system and provide her team with a state-of-the-art platform that has automated processes and drastically improved efficiency. Erika Taylor, Supervisory Management and Program Analyst, DHHS, Health Resources and Services Administration – Initially brought on as a team member to a small group of four, Ms. Taylor’s rapid mastery of the technical aspect of our work and her inherent leadership skills made it apparent she would be an excellent supervisor. Lee’s unselfish efforts within our program has benefitted the less experienced people within our branch by her willingness to team and nurture others. By taking a leading role in implementing a Process Robotics solution at FDA, the team was able to help the agency become an early adopter of Process Robotics in federal government. Linda is working hard to let people know that there are many good things about working in state government, even if they could make more money working in a school system. Stella’s in-service training for state agency (DPH) staff on cultural competence and sensitivity to new African clients led to increased awareness and cultural understanding of African health and nutrition practices that improved staff-client relationships. Steven makes a difference in our community by being dedicated to community engagement. He actively encourages everyone in the city to volunteer and provides assistance to anyone who is our co-worker or our neighbor. In his work as our library’s Adult and Digital Services librarian, Aaron has demonstrated a dedication to providing excellent, responsive service to a diverse population.